Since the first Ohioana Book Festival was held with ten authors in 2007, the festival has given readers the opportunity to connect with their favorite Ohio writers. 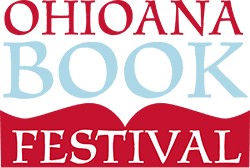 In 2017 we will welcome 120 authors and illustrators to the festival. Visit the Sheraton ballroom throughout the day to meet your favorite Ohio authors and get books signed. The Book Loft, our official bookseller, will be running an on-site bookstore throughout the day. April 4, 6:30 – 7:30 p.m.
April 4, 7:00 – 8:00 p.m.
April 5, 7:00 – 8:30 p.m.
April 6, 6:30 – 7:30 p.m.
April 7, 3:00 – 4:00 p.m.
April 7, 7:00 – 8:30 p.m.